Typhoon Noul is currently to the east of the Philippines in the Northwest Pacific, and is heading steadily west-northwest. 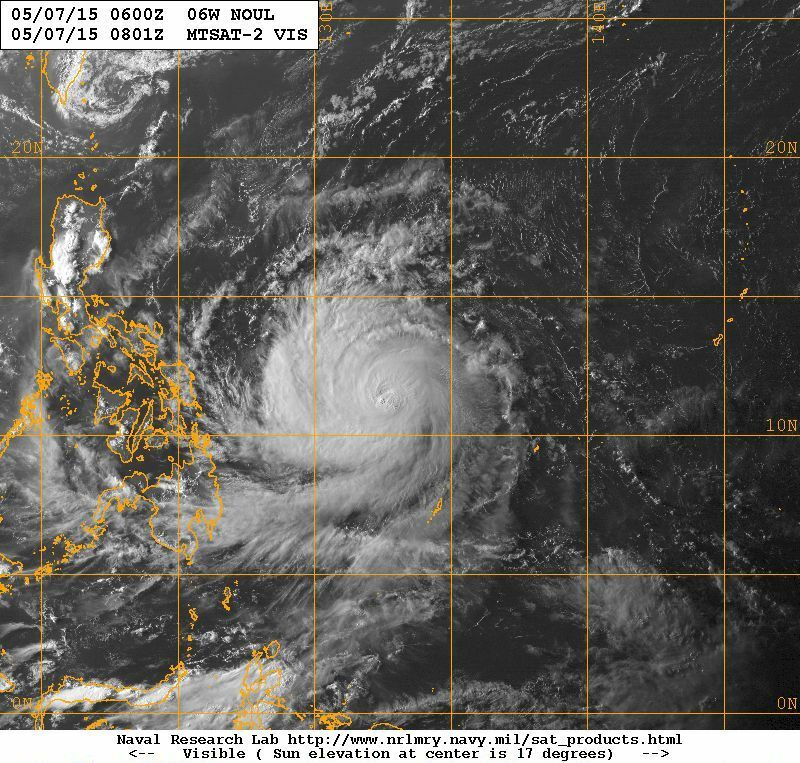 Noul is expected to continue moving towards the Philippines whilst intensifying further to a very strong typhoon. The storm is expected to make landfall in the Philippines this weekend. There is still some uncertainty in the exact track, but currently Noul looks likely to make landfall on the east coast of Luzon, bringing very strong winds with gusts of 130kt (150mph), coastal and inland flooding with total rainfall accumulations of up to 400mm possible, and potential landslides across large parts of northern Luzon. There is also a risk of significant impacts in Manila if Noul takes a slightly more southerly track. 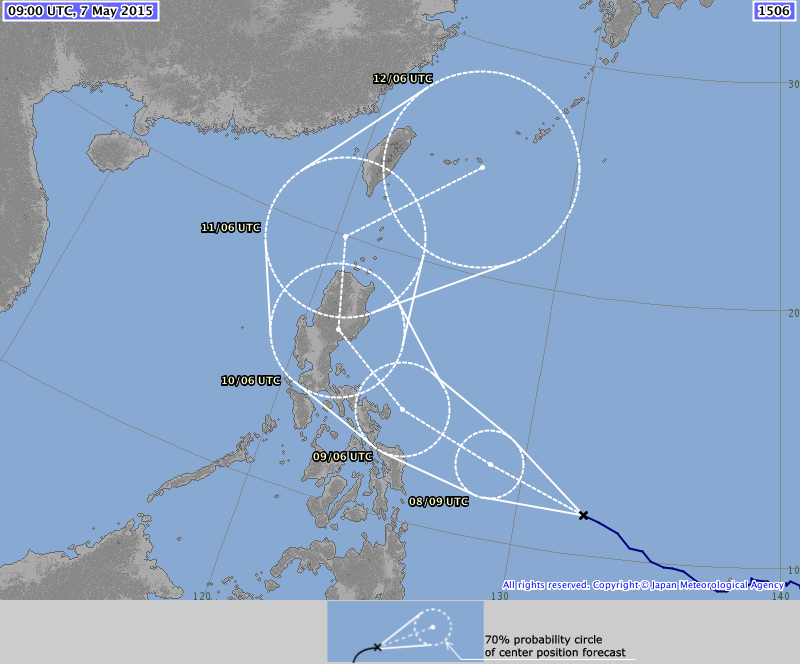 Although the typhoon is expected to weaken next week, Noul could also bring some heavy rain to parts of Japan. This is the sixth tropical storm of the north-west Pacific season and the fourth to become a typhoon, which is an unusual level of activity so early in the season. And yet another tropical storm looks set to develop behind Noul, possibly following a similar path. The Met Office works closely with counterparts at the Philippines weather service PAGASA, providing the latest information on computer model predictions of the likely track and intensity of Typhoon Noul as it nears the country. Official warnings of west Pacific tropical storms are produced by the Japan Meteorological Agency. The Met Office routinely supplies predictions of cyclone tracks from its global forecast model to regional meteorological centres worldwide, which are used along with guidance from other models in the production of forecasts and guidance. Met Office StormTracker provides a mapped picture of tropical cyclones around the globe with access to track history and six-day forecast tracks for current tropical cyclones from the Met Office global forecast model and latest observed cloud cover and sea surface temperature. We also provide updates on current tropical storms via @metofficestorms on Twitter. This entry was posted in Met Office News and tagged flood, Japan, Japan Meteorological Agency, landslides, Luzon, Manila, Noul, pacific, Philippines, rain, tropical cyclone, tropical storm, Typhoon, wind. Bookmark the permalink.